What is the SA in the Ethernet frame used for by a layer 2 switch? Limited to 4094 vlans per switch. Requires layer 2 loop prevention. Slow response to topology changes. Which of the following statements about the VC-ID is false? The vc-id is signaled in the control plane. The vc-id has point to point significance. The vc-id is part of the data plane encapsulation. There is a vc-id to vc-label mapping. TLDP is used to create the inner label, RSVP is used to create the outer label. TLDP and RSVP can be used to create either labels based on how they are configured. When RSVP is used, TLDP must be disabled and static vc labels should be used. TLDP is used to create the outer label, RSVP is used to create the inner label. TLDP and RSVP cannot be used in the same network since they both provide the same label. replicated to other spoke SDPs and SAPs and not transmitted on any mesh SDPs. Neither (a) nor (b) will make this sentence true. Either (a) or (b) will make this sentence true. statements are true for ingress traffic assuming default configuration? sap 1/1/1:*.0 is a valid sap id. 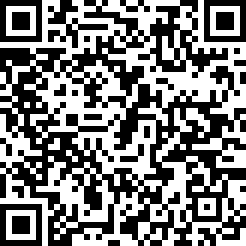 sap 1/1/1:0* will accept any tagged frames. sap 1/1/1:0* will accept all untagged frames. sap 1/1/1:100* will accept frames with a single tag of 100.
sap 1/1/1:200* will strip the top tag of 200 and the bottom tag will be transparently passed. Which of the following statements relating to VPLS is false? 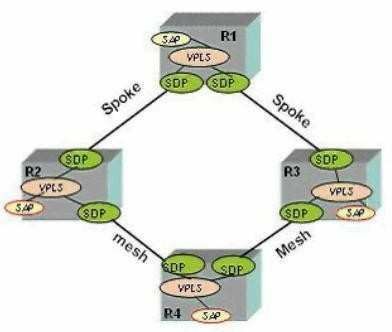 A VPLS is a multipoint Layer 2 service. The VPLS switches traffic based on MAC address associated to the appropriate SAP. A VPLS allows multiple customer sites to be connected in a single bridged domain. A VPLS on a single node requires a SDP. PE-B will require a SAP id of "sap 1/1/1:500*". PE-B will require a SAP id of "sap 1/1/1:200*". PE-B will require a SAP id of "sap 1/1/1:100*". PE-B will require a SAP id of "sap 1/1/1:500.200". 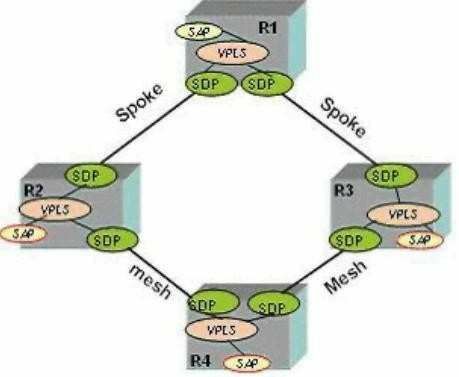 VPLS is a bridged LAN service. connected via a bridged LAN. VPLS provides L2 VPN services to CEs. VPLS is a point-to-point service where CEs are presented with point-to-point virtual circuits. The following VPLS services and SAPs have been configured. Which of the following statements is true? All untagged frames will be dropped. The source MAC address of a frame with a top tag of 100 will be populated in VPLS 2. The source MAC address of a frame with a single tag of 500 will be populated in VPLS 1. All frames with more than one tag will be dropped. If the SDP between R2 and R1 goes down, what devices will be reachable from R2 through the VPLS? Only R4 will be reachable through the VPLS.B All devices will be reachable through the VPLS. R4 and R3 will remain reachable. No devices will be reachable. What is the default service-mtu for a VPLS service? It depends on the network port MTU. It depends on the access port MTU. The service MTU must be equal to or smaller than 1514 bytes. The service MTU can be any value. The service MTU must be 1514 bytes. The service MTU must be equal to or greater than 1514 bytes. What is the default fdb size for a VPLS service? been learned will not be aged. During the process of troubleshooting a VPLS problem the "oam mac-purge" command with "register"
option was used to purge a MAC address from the FDB. Which of the following statements is true? RelearningoftheMAC address that was purged can only be done once customer traffic resumes. Relearning of the MAC address that was purged can only be done with the "oam mac- register"
Relearningofthe MAC address that was purged can only be done with the "oam mac- populate"
relearned with the "oam mac-populate" command. An error will be generated and the configuration will not be allowed. Traffic matching entry 20 will be forwarded to sdp 100:1. All traffic matching entry 20 will be dropped. An IP filter and a MAC filter can be applied on the ingress SAP at the same time. Filter Policies can only be applied on egress. Filter Policies can be based on IP, MAC, and VPI/VCI addresses. An IP filter can be applied on ingress at the same time a MAC filter is applied on the egress of the SAP. Any number of ingress and egress filter policies can be associated with a SAP.